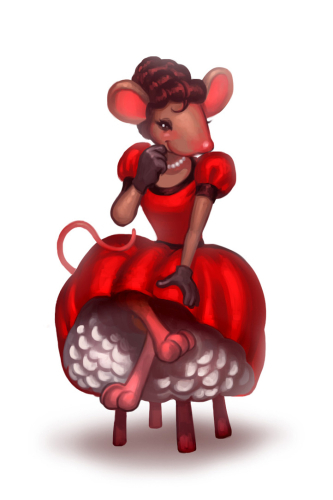 The Saloon Gal Mouse is a breed of mouse found in the Claw Shot City and is a part of the Scamping Scammers gang when working on a Wanted Poster. It is not known to drop any loot. They say that the city itself was named after her skills with a pistol. Keep in mind that these gals are close friends with some dangerous mice and yet even those mice know to treat them with the utmost respect! Law traps are very effective against the Saloon Gal Mouse. 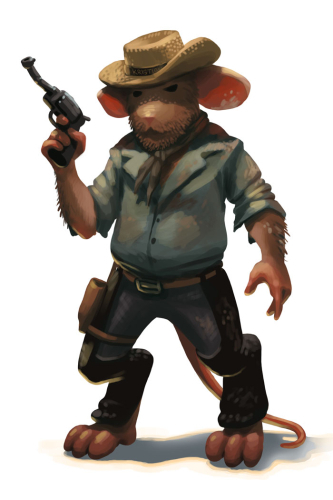 25 June 2013: The Saloon Gal Mouse was introduced as part of the Claw Shot City release.